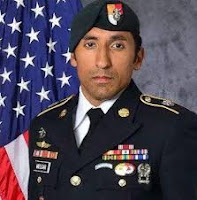 Two Marines Raiders and two Navy Seal Six Team members were arrested and charged with allegedly murdering an Army Green Beret who was strangled in 2017. Army Staff Sgt. Logan Melgar was found strangled during an alleged burglary.